Clutter. Oh, it is the bane of my everyday surroundings! I hate to admit it, but as much as I dislike clutter, you would never know it by taking a look at my house! There are certain catch-all zones on all floors that no matter how hard I try, just NEVER seem to stay clear. Stuff always finds its way back and I am right back where I started. Do you have the same problem? I’ll bet most of us do! Stressing about how to make the most of your decorating dollars? Know how and where to find what you need to decorate your home without spending a fortune! In our house, if we don’t see that reminder for the birthday party, school event, or bill to be paid, it will likely get forgotten. Do we put things into our phones? Yes. Do we write them on the paper calendar? Yes. Do we post some things on the fridge or put them in the designated “spot” for the mail/bills/memos? Yes. I know I can Pinterest my way to a cleaner space, but I don’t. I know I need to find a “home” for everything, but with a small house, it’s hard to keep up…so I don’t. I edit. I donate. I sell items of value. But the spices on my stove? I just don’t have another space for them! The artwork that comes home from school? It gets displayed…sometimes…. The lost toy pieces, batteries that you have to check, items that are supposed to go upstairs, or downstairs, or I’m just not sure where, end up in one pile…of clutter! 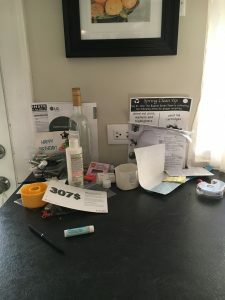 So today I am going to get real and show you my clutter…it pains me to do it, but it must be done! I am cringing here, but real life in design isn’t always the pretty stuff! It’s the hard-core, how-can-I-fix-this- stuff that we all deal with. At least you’ll know that I am right there deep in it with all of you! Our trouble spots are the kitchen counter by the back door, the dining room side board (that honestly only really gets cleaned off when we have company! 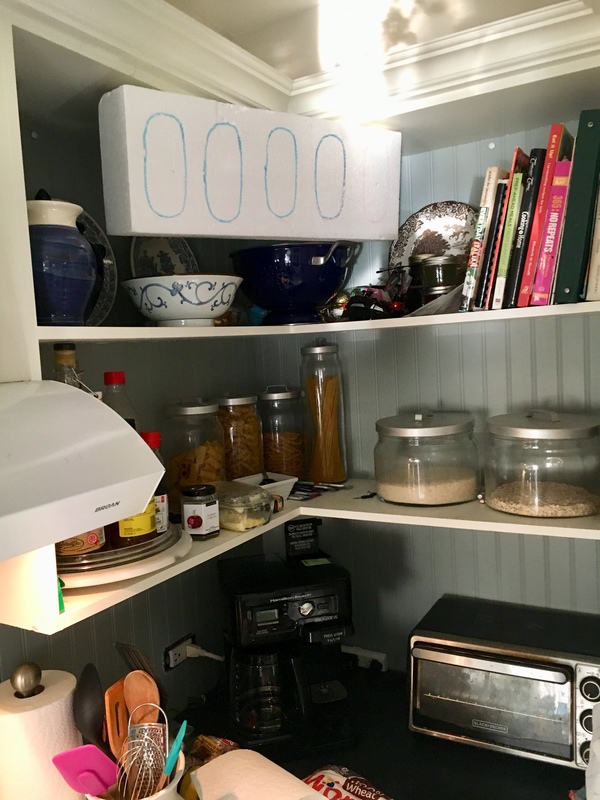 ), the kitchen display shelves that display…ummm…things that you don’t really want to see…and even the top ledge of the built-in for items that we just have to get out of reach quickly and end up staying there for days on end! There is a malfunctioning remote control helicopter up there beside the future cereal container stander-upper that is… uhum… a work in progress! Can we say “embarassing”??? So why do we allow this clutter to exist? Why don’t we just find that perfect “home” for our stuff and not have to look at it every day? I know for me, it can boil down to a time issue. It takes less time for me to pile all the I-have-to-look-at-this stuff in one spot than it does to actually mentally figure out WHERE it all needs to go, AND physically get it to that place! Anybody with me here? I am fully aware that a clean space = a clear mind. I am also aware that I can find stylish baskets, trays, file folders, what-have-you to make it at least LOOK pretty. And I do take the time to incorporate that into certain spaces? Yes…. But I want to do BETTER. Don’t we all? 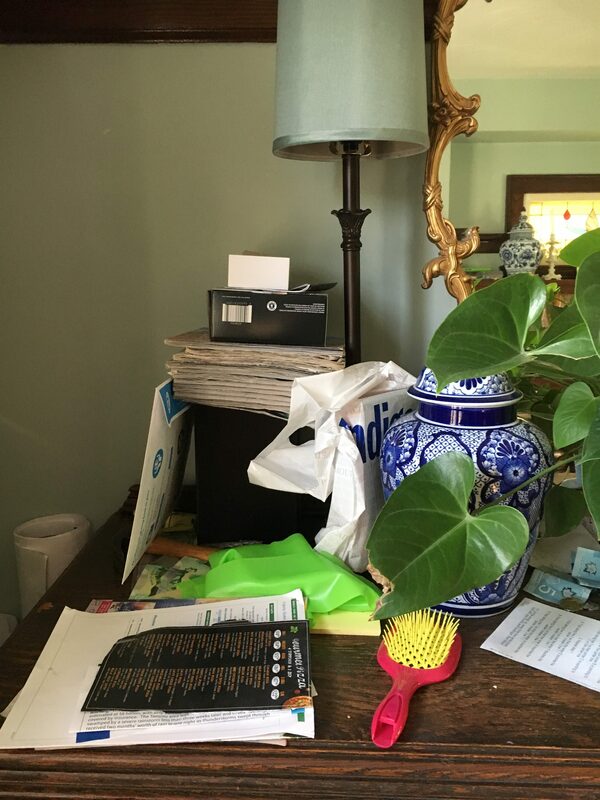 Just to prove my point, here is a client’s home that shows her everyday clutter…and what it looks like cleaned off for a photo shoot. 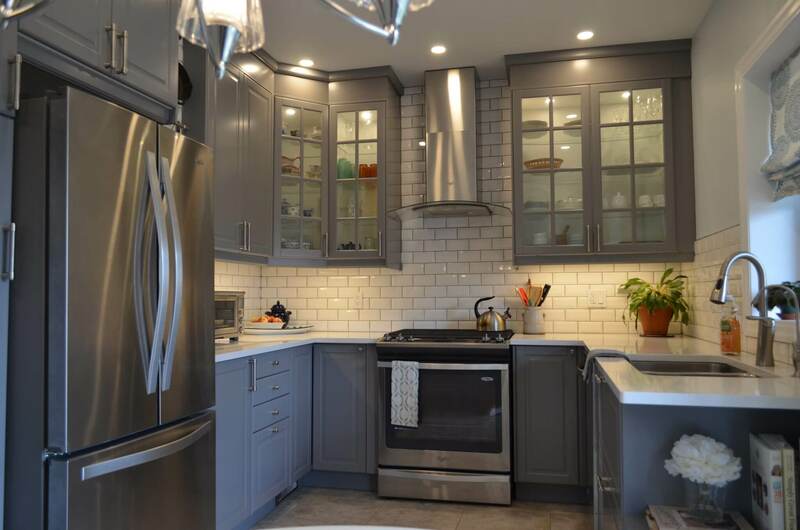 To see more of this kitchen check out our Lakeview Kitchen blog post! we could get closer to this cleared off look…don’t you think? 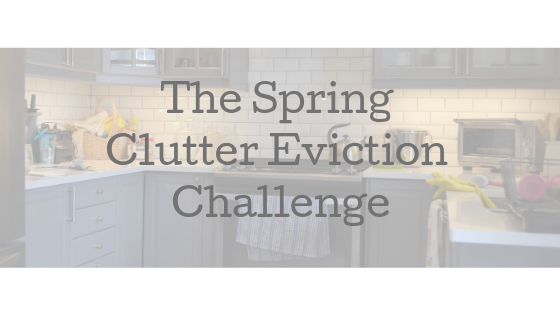 With Spring’s arrival, and the desire to begin that Spring Cleaning that many of us do this time of year, I’d like to propose a Spring Clutter Eviction Challenge for the month of April. Let’s all work on clearing those clutter zones and doing a better job of actually keeping them clear for more than a day or a week! 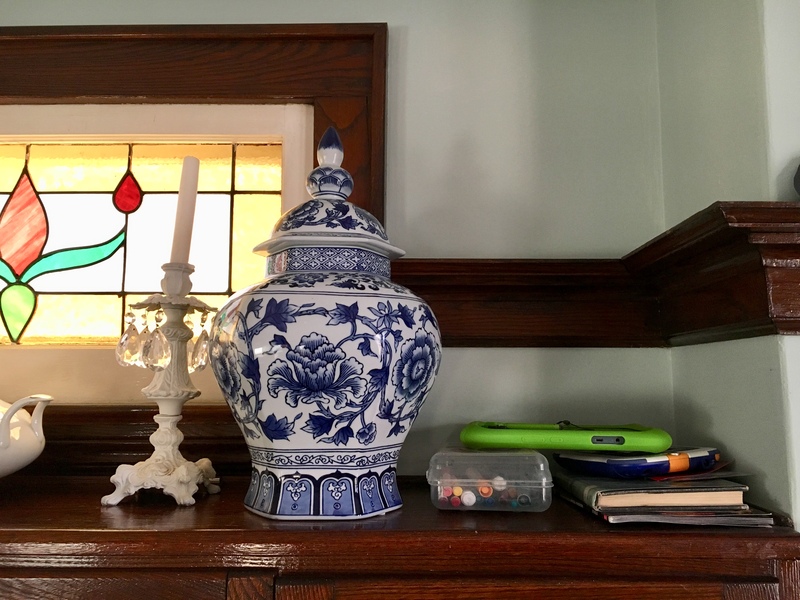 AND… to make this Spring Clutter Eviction even better, I have asked Judy Rickey of Clutter Relief Services to do a guest blog post giving us some creative ideas on how we CAN do better…CAN manage our stuff…CAN make an everyday difference in our homes. I am so excited about this!!! She has been in the organizing business for years and I know we will all come away with some great tips and ideas…can’t wait! So stay tuned as we will be posting it right around Easter…just in time to get the finishing touches on your home for the holiday weekend. 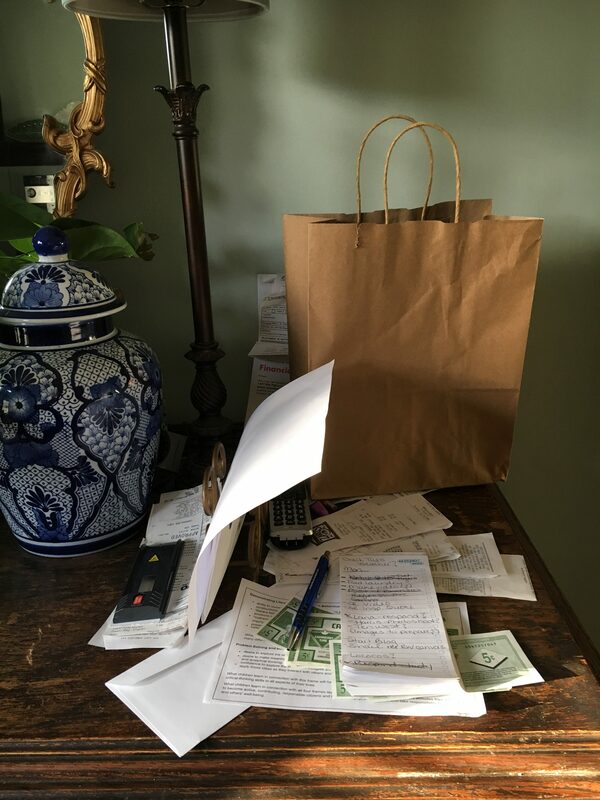 Are you ready to join me in evicting these clutter zones? Are you ready to give your rooms a fresher look because your counters are cleaner? Your lost stuff now has a home? Let’s do this together and keep each other inspired!! 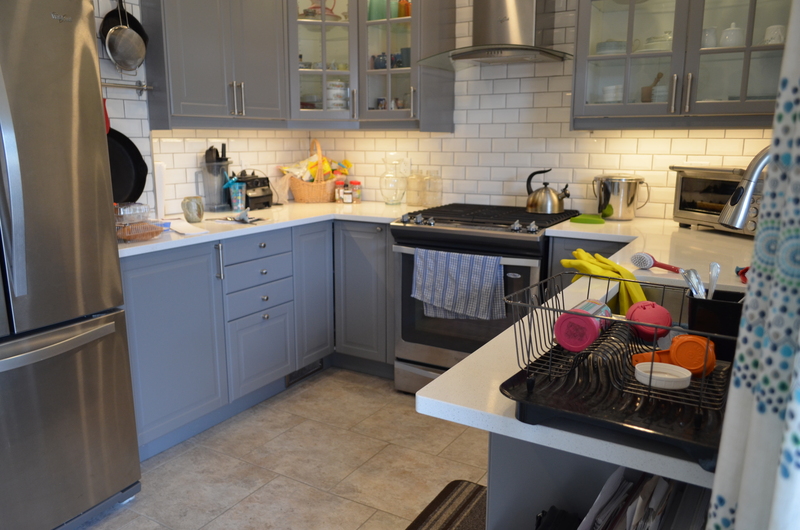 I’d love to see your problem areas and the changes after you have evicted clutter…so show me the before and after pictures and post them on Facebook (and tag us in the process)! We can all be like a much prettier version of Mr. Clean…standing in our newly cleaned spaces with capes blowing in the wind because…. WE DID IT and we’re proud of it! Sign up for our Newsletter now and receive a Free Gift! 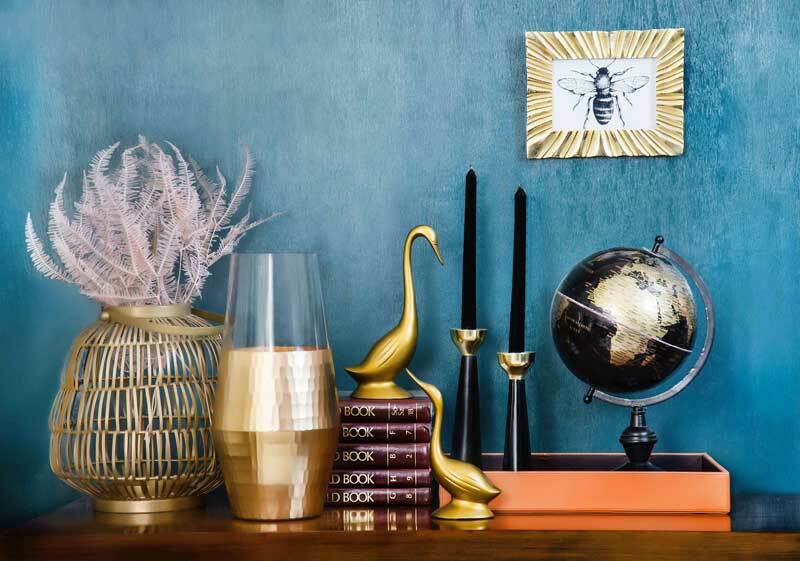 Not only will you keep up to date with all our articles, but you'll also be eligible to download our "Designer Tips to Stretch your Decorating Budget" for free! So looking forward to the next post 🙂 great article! Yes…it is a horrible cycle! lol! I have company coming for Easter Weekend so this week I have to get at it!!! I”ll post before and afters on facebook so stay tuned 🙂 Thanks for commenting!